In 2015, La Trobe University has awarded funding to encourage inventive, future-thinking practices that aim to enhance digital learning experiences for our students. These grants, ranging from $5,000–$30,000 each cover four categories: multi-campus teaching, digital assessment, online international learning and multi-campus technologies. We were overwhelmed by the number and quality of the responses, and by the level of interest amongst our staff to innovate in their teaching. In 2015 we awarded 26 Innovation Grants across four categories outlined below. Here you can learn more about some of these successful projects. Dr Christine Kettle worked on a subject design which move away from traditional lecture-driven content delivery through the development of a student-created e-book. Students worked in groups to write and peer review the chapters for the e-book, with the final version forming the text book to study for the subject's exam. The project aimed to construct a subject design template which could be translated for delivery in subjects across disciplines and campuses, allowing students to participate in this learning experience from anywhere. Dr Kettle also hopes to explore 'ways to explore the process and explore new digital methods for collaboration and feedback' in the future. 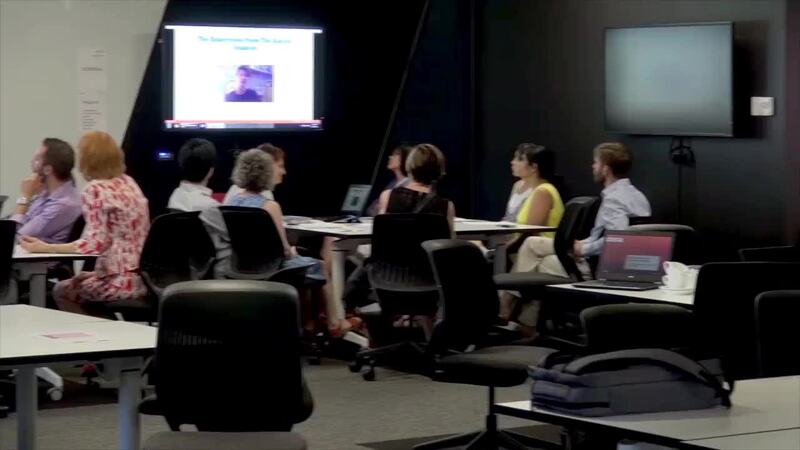 Drs Susan Keller, Susan Inglis, Nick Pawsey and Jennifer Laing have been testing a new approach to 'Promoting internationalisation and cross-cultural competency through online collaboration'. They aimed to provide opportunities for La Trobe students to engage in an academic cross-cultural experience through cloud-based technologies. The team's learning design is a transferrable design, easily plugged into other subjects and disciplines, with just the specific case study (and relevant timing / deadlines) needing to be changed. The transferable learning designs, case study and database of potential international partner universities will also be made available through the project LMS site. Short 3-5 minute videos will also be created in coming weeks, which will prove helpful for colleagues who would like to try the approach. These videos will include 'how-to' clips for the technology, tips and tricks, and lessons learned. See the full Uni News article. Below is the list of the recipients of the Digital Learning Strategy Innovation Grants and the 26 successful projects that have commenced in 2015. Do 'Point of View Video Recording Glasses' Promote Engaging Learning Activities and Assessments to Develop Non-technical Skills? There are many ways in which staff can continue to engage with the Digital Learning Strategy and to enhance their own teaching and practice. Visit the DLS website to find out how.